Byron Doors’ range of awnings combine beautiful design and operation. Designed and developed to provide a versatile solution whatever the weather. Whether you want to make the most of your garden or patio at home, or provide shelter for your customers whilst they dine outside your restaurant. 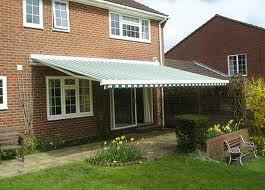 Byron Doors range of awnings will be the perfect choice. Byron Doors’ range of awnings are suitable for a variety of applications. They are built to the highest standard by Lakeland in the UK with a wide choice of fabrics. Byron Doors’ awnings are designed to perfectly complement your home, business and lifestyle. Peace of mind is guaranteed as all Byron Doors’ awnings are CE approved and load tested for wind and water. 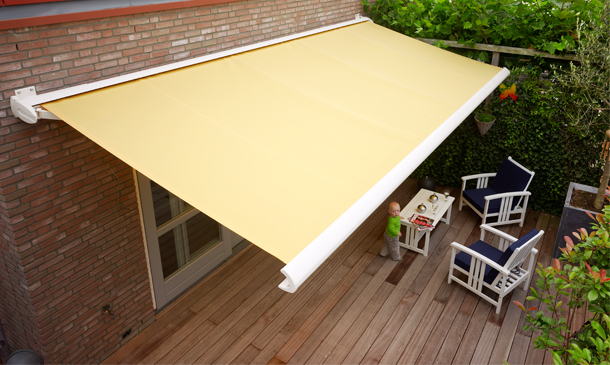 Byron Doors’ range of awnings are opened and closed manually with a hand crank. Upgrading to a motor system, controlled with a hand held push button that makes life little bit more simple. Cassette construction means Byron Doors’ range of awnings will stay in peak condition giving great service long after the installation is completed. Housed inside the cassette the awning cover will stay fresh. Protected from weathering it will continue to have that “just installed” look. Byron Doors’ range of awnings are available with different depths of valance section. Made from matching fabric these are fitted to the front rail giving increased shade. The valance is fitted within its own mounting slot so it is removable over the winter keeping it in top condition. 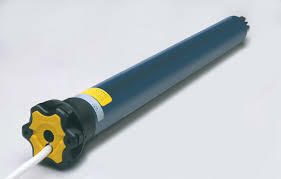 When fitted with a motor Byron Doors’ range of awnings are controlled via simple hand held push button. Additional features like wind and sun sensors are available. 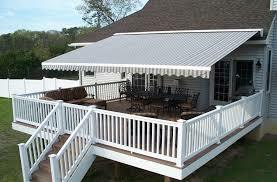 Awnings that move themselves in and out when the needed. Control has never been so easy. Let there be light! Byron Doors’ range of awnings are also available with built in lighting for summer evenings. For those cooler evenings add a patio heater and make the most of the great outdoors. Byron Doors’ range of awnings, bringing the inside outside. Byron Doors’ range of awnings can be automated. Using radio controlled motor systems that are installed with the awning and take up no extra space. Make operation of your Byron Doors’ awning easy and reliable. Give your home the extra “WOW” factor it deserves. Byron Doors’ supply chain of awnings is a who’s who within the industry offering great quality of product and service along with design and style features. Byron Doors have the tools to make your home amazing.